I tried these before years ago when my homie Shannon told me they were his favorite Haribo variety. At the time, I remember liking them, but definitely not loving them. I’m not sure what’s changed, or if the “Pik” on the bag implies some sort of flavor or sour level change, but these things really blew me away this time. If we speak French, we can tell that this bag now has strawberry flavor. If we don’t, then we might think the word fraise means “hella fresh”. School is important, kids. We also have the classic orange, and I believe grapefruit is the last flavor. The candy is flavorful and bright. The flavor develops nicely, and while tart, isn’t overwhelming. But before I go on-do any of you actually remember Orangina? 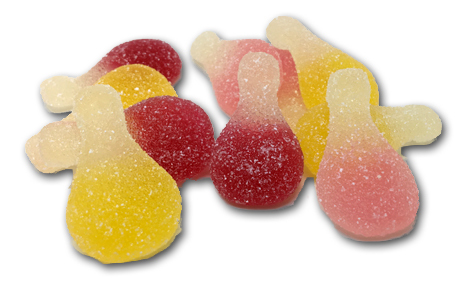 The weird bottle, shaped like these pieces of candy, that was doubly weird because you were supposed to shake it before opening, even though it was carbonated. Kind of delicious actually, I miss them. I don’t know how accurately the citrus (yellow) flavor matches the drink, but it’s seriously good regardless. Something about the flavors is more…developed than many other Haribo gummies. Every time I inserted one ito my cake hole, I was pleasantly surprised by just how consistently great they were. 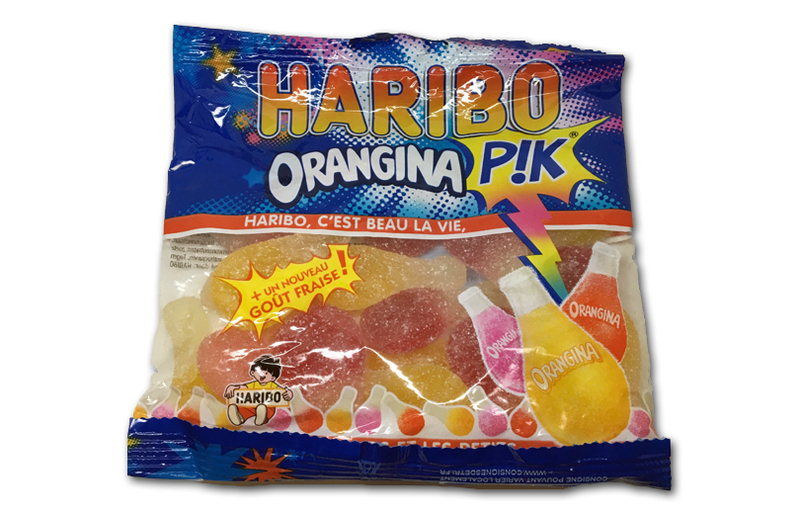 The issue now is that we need Haribo to start exporting these to the states on the regular. For now though, there are options, primarily Amazon, with the link below. These look delightful. But now I’m wondering if there was Grapefruit and Strawberry flavored Orangina DRINKS because those sound delightful, too! i had these during my school trip to france! the word “pik” is used to refer to something that has a bite to it (spicy things, extremely cold things, sour things, etc,) so its saying that its a sour gummy candy. theyre really good.